The information below is an effort to help clarify the soccer landscape in New Hampshire in an effort to assist players & parents make the best decision when choosing a club to play for. The highest level of soccer available to girls in New Hampshire is the New England National Premier League (NPL). Seacoast United is the only Club in New Hampshire who can offer the New England National Premier League to its girls. Seacoast United provides opportunities for all levels of soccer players. When it comes to boys' soccer, the highest level program available to any boy in the United States is the US Soccer Development Academy Program (DAP). Seacoast United is the only club in New Hampshire that can offer the US Soccer Development Academy program to boys. Seacoast United this year has been successful in having players selected to attend all of the US Soccer Regional Training Camps. 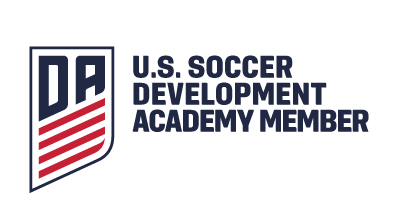 Coaches involved with the US Development Academy program must have qualifications that are up to date - minimum qualification accepted by US Soccer is USSF B License or European B License. At U11/U12/U13 Seacoast United start their pre US Soccer Development Academy Program. Players at this age receive age-specific coaching following US Soccer guidelines in preparation for the DAP program which starts at U14 or birth year 2000. Seacoast United provide opportunities for all levels of soccer players. Following a comprehensive review of elite player development in the United States and around the world, US Soccer created the Development Academy in 2007 to improve the everyday environment for the elite youth player. The Development Academy is a partnershp between US Soccer and the top youth clubs around the country to provide the best youth players in the US with an everyday environment designed to produce the next generation of male National Team players. The Academy's programming philosophy is based on increased training, less total games, and more competitive games. The Academy also connects National Team coaches directly with the Academy clubs to develop and identify players and coaches for future Youth National Teams. Each Academy team is evaluated by a member of the US Soccer Men's Scouting Network at least 10 times each year and each Academy club receives two formal evaluations in over 100 categories each year from US Soccer Technical Staff. For more information on the benefits and advantages of the US Soccer Development Academy please click here.